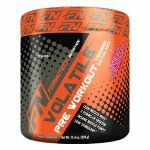 Buy Formutech Nutrition: VOLATILE (30 serv) & Get one free for $33.95 at Best Price Nutrition. 2 x Finaflex Stimul8 Pumped - $18.99!! 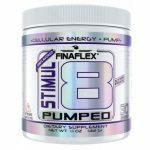 Buy FINAFLEX Stimul8 Pumped – 30 Servings & get one free for $18.99 ($9.5/EA) at A1Supplements. This is the best price we could find by at least $24.